A modern writing instrument that embodies elegance and quality. 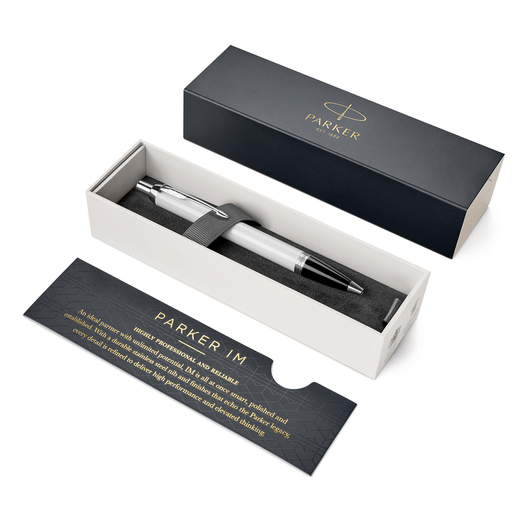 Featuring a stunning white finish with elegant chrome trim, these pens bring you all of the quality and style you would expect from the Parker name. 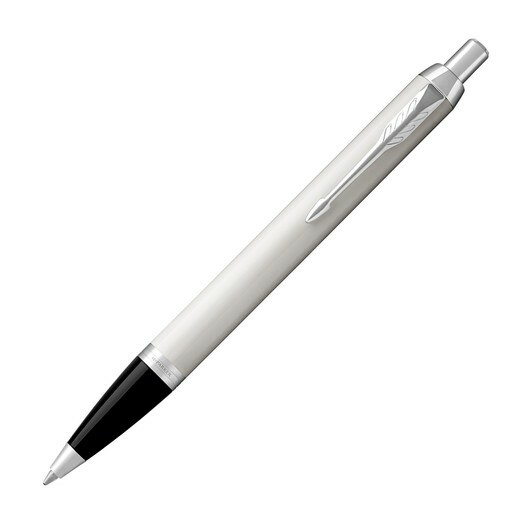 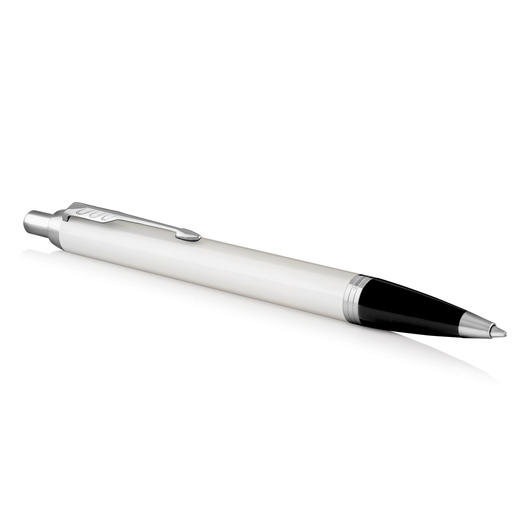 The pen utilises a push action, retractable black ballpoint and comes presented in a gift box. A popular choice for client gifts and appreciation to staff.